TOSHIMITSU. Work between EI-KYO 1429 and KAN-SHO 1460.
and NIOI GUNOME-CHOJI BA are his KANSHO BIZEN mark. BUN-MEI. 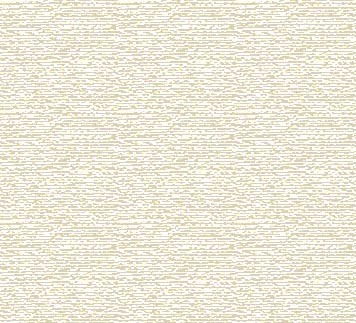 MOKUME HADA. GUNOME-CHOJI BA. and a date of EI-KYO 9, or 1437 is given for his birth. coming for the AKAMATSU in HARIMA (see MASANORI below). style. HA-AGARI KURI-JIRI NAKAGO with slight curve. Characters are wide set, thin but firmly put. of the HARIMA AKAMATSU," nephew of AKAMATSU MITSUSUKE. JI-NIE. NIOI KO-MIDARE, KO-GUNOME CHOJI BA with ASHI. A wide, thick SHINOGI-TSUKURI, IHORI-MUNE, long Katateuchi. the broad upper straightens through the MONOUCHI. a MARU-DOME at the HABAKI-MOTO. and tugged by NIE JI-BA welling over the NIOI HABUCHI. "one-handed" length to RYOTE, 6.7 SUN for two. Shinogi-tsukuri, Mitsu-mune Sakizori with Chu-Kissaki. Bo-Hi climbs from Koshi Suken while Ura banners the Horimono. Itame and Mokume mix together and showing Jinie. A field of Kani-no-Tsume Crab-Claws grasp the Shinogi. They throw Tobi-yaki and Yo through Sunagashi. Ko-Ashi battles with deep Nioi-Fukashi and Nie for the troughs. Ko-Nie frosts figures. Deep Midare-Komi Boshi while Hakikake tugs the Ura. Ubu Bizen Kurijiri Nakago has two Mekugi-ana. 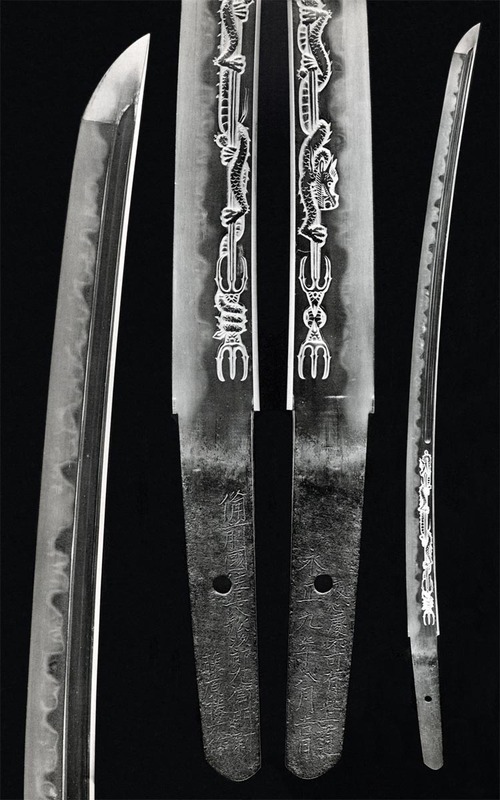 Hirazan Kaku-tsukuri, three-sided O-Yari. 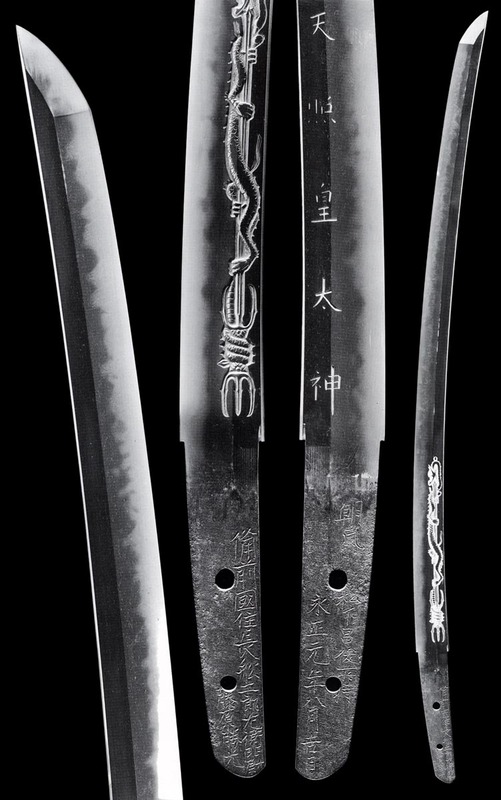 Originally meant for the battlefield, these were raised to high art by the great makers such as Ukyo-no-Suke and Sakyo-no-Shin. These brothers made many collaboration pieces together. Tightly knit Itame-Mokume Hada has Jinie and swirling Midare-Utsuri. Yanone 'Arrow-point' Gunome and Gunome-Midare Yakiba gets wider toward the upper. Converging to Tsuki-age of both sides. Eldest son. Attended ASHIKAGA YOSHIHISA's OMI SEIBATSU. TOBI-YAKI. The tops may show KANInoTSUME "Crab-claw"
BITCHU KUSAKABE in the MEI, accounting many travels. style of UKYO-no-SUKE, KOSHI-HIRAKE GUNOME-MIDARE BA. 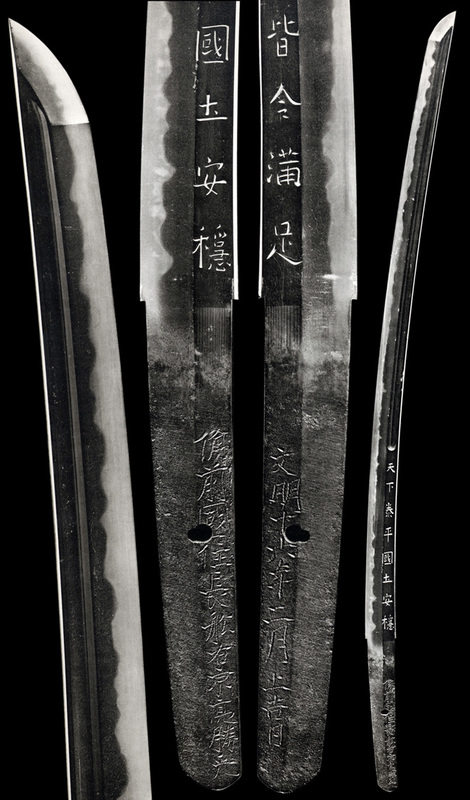 TAROBEInoJO KATSUMITSU EI-ROKU 1558; GUNOME CHOJI-MIDARE BA. KATSUMITSU KYO-ROKU(6) (f: JIROZAEMON KATSUMITSU): SHURI-no-SUKE. NIE KOSHI-HIRAKI GUNOME-CHOJI BA and GUNOME-MIDARE HA. Shinogi-tsukuri, Ihori-mune. Thick, wide Sakizori with Chu-Kissaki. Bo-Hi drops to the mid, where Koshi-horimono strides both sides. 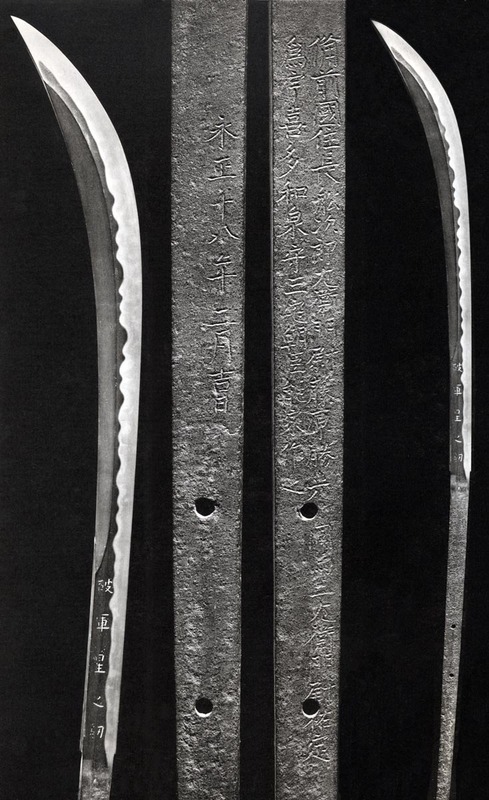 Ko-Itame Hada has a thin veil of JiNie and strongly standing Utsuri running most of the blade. Koshi-hiraki Gunome and Kani-no-Tsume Crab-Claws grab at the Ji. Hamon is in Nie, deep Nioi, with Ashi and Yo, Sunagashi and Kinsuji. Midare-Komi Omote Boshi is so complex, it becomes Kuzure before a Ko-maru. Ura Midare-Komi to Yakizumi. SHUN "Spring". JUROZAEMON. First to use SHINJIRO. HARUMITSU(2) EI-ROKU 1558: SHOMEI: SHINJURO. HARU form SHUN "Spring". SHINOGI-TSUKURI, IHORI-MUNE KATATEUCHI. Evenly broad and powerful MONOUCHI. lower with AMATERASU KOTAI opposing on the URA. Dewy JI-NIE brings a luminous serenity to KO-ITAME HADA. GUNOME-CHOJI, KO-CHOJI BA. NIOI SUNAGASHI and KO-NIE blur figures and fling TOBI into the Ji. open before a long fall down the MUNE. One-handed length, HAAGARI BIZEN KURIJIRI NAKAGO has two MEKUGI-ANA. from EISHO 6 to KYO-ROKU 5. Made swords with his father. His style is as JIROZAEMON KATSUMITSU. NIOI-DEKI KOSHI-HIRAKE GUNOME CHOJI MIDARE BA with ASHI and YO. HARUMITSU(2) TEN-SHO (f: JIROBEI HARUMITSU): JUROZAEMON. HARU form: CHI "peace". TAROBEInoJO KATSUMITSU EI-ROKU: GUNOME-CHOJI BA. KATSUKUNI TAI-EI: GUNOME-CHOJI MIDARE BA. WQZAMONO. KATSUMORI TEN-MON: GUNOME BA and GUNOME-MIDARE BA. Nie and Nioi-Fukashi Gunome-Choji Midare Ba in a Hiro width finds Gunome-Midare Mune-yaki reaching across the Ji. 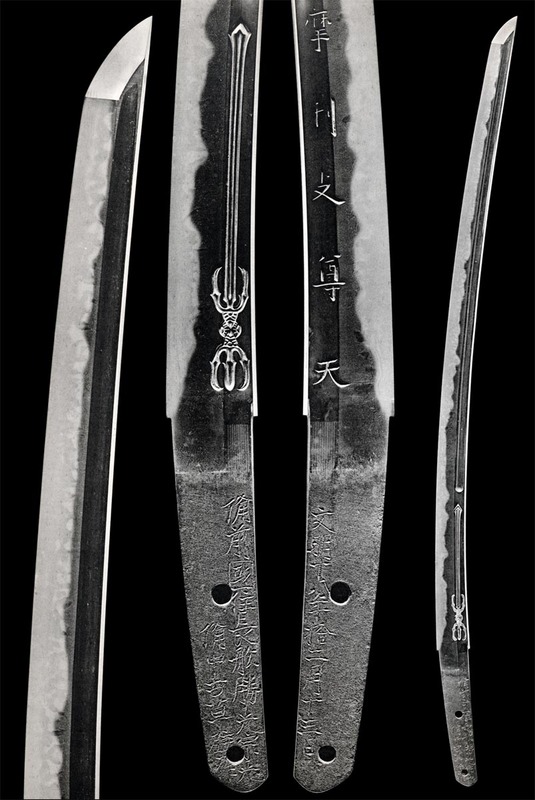 Hira-tsukuri, Ihori-mune, Sakizori Chu-Kissaki Katateuchi, "One-Handed Fighting Sword". School mark of Koshi-Hori of Maru-dome Bo-Hi extends through the mid and upper. Ko-Itame Hada is lightly veiled in JiNie. A chorus of exploring Kani Tsume conquers the Ji in Hiraki groups. Tobi-yaki and Yo take turns with Ko-Ashi to define under streaming Sunagashi, in deep Nioi-Fukashi and Ko-Nie. Midare-Komi Boshi finds Ko-Maru at the head. Ubu Bizen Kurijiri Nakago has slightly domed Mune. One Mekugi-ana. Naginata-tsukuri with dramatic sweep in the upper bout. Ko-Itame Hada has JiNie and Chikei. Rising groups of O-Gunome create a broad Notare ripple across the work. Of course, Jirozaemon's Ashi against Yo over sweeping Sunagashi runs in deep Nioi-Fukashi and Nie. Midare-Komi Boshi finds a small Ko-Maru giving a Togari appearance. Ubu Nakago has two Mekugi-ana and signed in the upper.